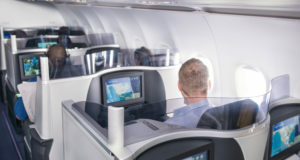 This is a classy one, with a “unique local experience” for first and business class passengers and Gold Card holders. Star Alliance customers flying from Rome can now take advantage of a new premium lounge at the city’s Fiumicino Airport. From today, the Star Alliance Lounge is accepting first and business class passengers and Star Alliance Gold Card holders. Located on the upper level of Boarding Zone D in Terminal 3, the lounge provides access to the departure gates for alliance member carrier flights to European destinations in the Schengen Zone. As with all Star Alliance branded lounges, this one claims to provide a “unique local experience”, with Italian designer furniture, Italian-inspired food including made-to-order signature dishes and a staffed bar and barista coffee station. 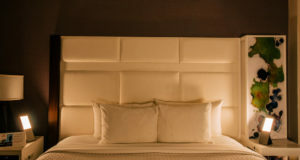 Free Wi-Fi is available with a mix of power outlets and a private space for making phone calls is also available. The lounge can accommodate around 130 guests and is open from 05:15 to 21:15 daily. 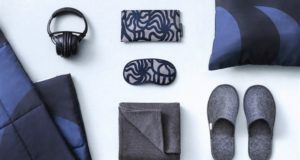 The opening expands the network of Star Alliance branded lounges to seven and “offers our customers flying from the Eternal City a state-of-the-art lounge experience,” says Christian Draeger, vice president customer experience at Star Alliance. 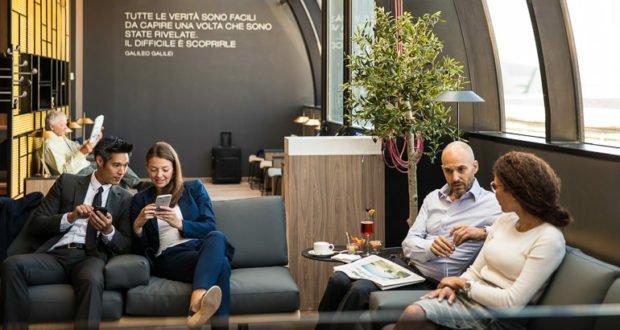 The alliance cooperated with Aviapartner and Aeroporti di Roma to refurbish an existing lounge space at Fiumicino, creating the first dedicated alliance lounge at the airport. As many as 17 Star Alliance member carriers serve Rome, providing flights to 25 destinations in 20 countries. Next up for Star is a new lounge in Amsterdam. 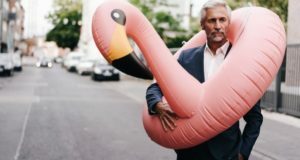 Set to open in early 2019, it will feature “its own unique design and include many contemporary Dutch design icons”. Existing lounges in Nagoya and Paris Charles-de-Gaulle will also soon be refurbished.